My palms are sweaty. I feel anxiety rising within me like a bubble in honey, slowly but surely making its way to the surface. I scan my notes for the millionth time, hoping that this time the words will permanently stick in my mind. I watch the 4th presenter rise from his seat and approach the stage. My breathing becomes shallow, I am up next. My heart beats arrhythmically in my chest, thumping like a caged bird fighting to be free. Before I know it the audience is clapping and I am slapped out of my reverie of being somewhere, anywhere, else. I shakily stand and take a deep breath to prepare myself, as if the isle to the auditorium’s podium is a gauntlet. I glance around the room hoping to find a reassuring face, only to find 75 pairs of analyzing eyes waiting expectantly for the next presentation. I try to deflate the pressure by making a joke about the mouthful that is my presentation title, “International Regulations on the Conservation and Sustainable Use of Marine Biological Diversity in Areas Beyond National Jurisdiction,” quickly realizing that my audience is unamused, as I am succeeding the man who just presented on “The Application of Benthic Biotic Indices for Aquaculture Monitoring in New Zealand and the Preliminary Investigations on the Use of Foraminifera eDNA for Assessing Enrichment.” I can all but hear the slow squuuuueeeeeaaaaaallllll of a deflating balloon as I try to regain my composure for this less than forgiving audience of PhD’s. For better or for worse, I don’t have much recollection of how the rest of the presentation went. The rest of the day flew by with a series of fantastically fascinating and infinitely intellectual presentations. Everyone was very friendly and complementary, though I assume a lot of this ensued due to the fact that I was the youngest by at least 10 years and because I was the least educated one there with only my Masters degree, thus receiving their sympathy, or perhaps pity. 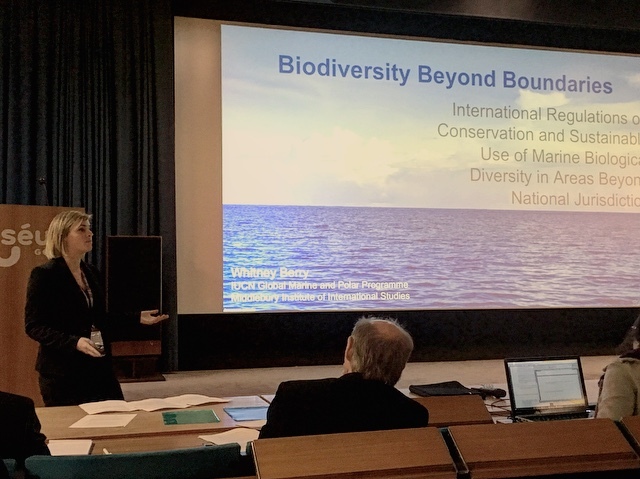 Nonetheless, I returned to the IUCN office the next day happy to have that huge weight lifted off of my shoulders. I decided to celebrate the completion of my presentation by visiting a small town a couple train stops away that was welcoming the arrival of spring with a grand tulip festival. It was held at a park right on the shores of Lake Geneva. Colorful tulips were growing all over the park, with green grass and petit pathways leading to benches, bridges and ponds, all framed by the glorious Swiss Alps. The park was filled with couples walking hand in hand, singles leisurely scattered across the lawn enjoying books, and children laughing and playing tag in the welcoming sunlight. 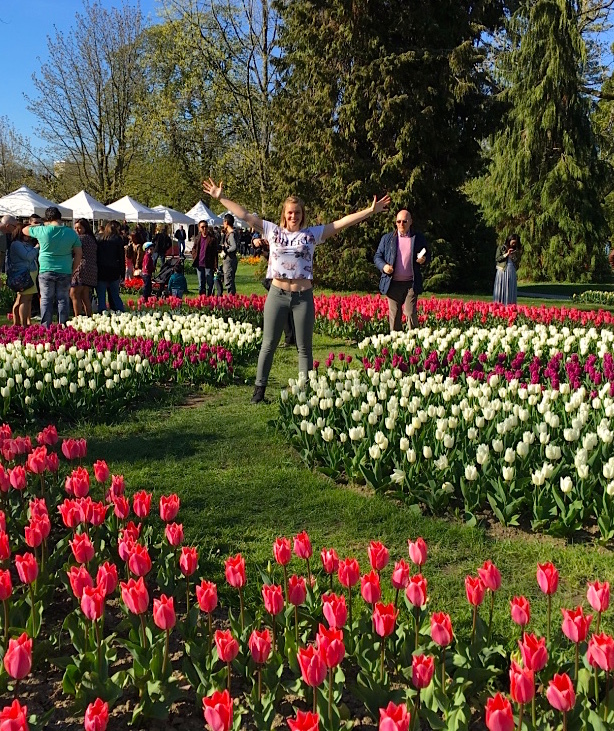 I returned to work that Monday singing praises of my wonderful weekend spent in Morges, Switzerland at the springtime tulip festival, only to be told by multiple coworkers that if I thought THAT was beautiful, then I needed to go to The Netherlands for the Keukenhof Tulip Festival. Soooooo, I am. It just so happens that a conference I need to attend for my current project on the Exploration of Unknowns concerning Deep Sea Mining is being held in Brussels, Belgium. In an effort to make the most of my short time here, despite my busy work schedule, I have decided to fly to Amsterdam the weekend before my conference, and then take the train into Brussels. From there I am going to take a day trip to enjoy the “real” tulip festival in Keukenhof, also known as the “Garden of Europe” and the “Most Beautiful Garden in the World.” I will let you know if it lives up to the title! This entry was posted in International Professional Semester. Bookmark the permalink.